Experimental Scottish rock outfit Vukovi have announced the release of their massive new track ‘Boy George’, taken from their forthcoming debut album. A live favourite from Vukovi’s growing arsenal of tracks, ‘Boy George’ is both dancefloor and mosh-pit ready, with its huge guitar hook and soaring chorus. Despite a rich history of Scottish rock bands, Vukovi are forming their own path with their intricate guitar nuances, muscular riffs, attention to melody and refreshingly energetic live shows. The band have shared stages with the likes Don Broco, Lower Than Atlantis and fellow Scots Prides and Twin Atlantic and played festivals including T in the Park, Hard Rock Calling and Hit The Deck. 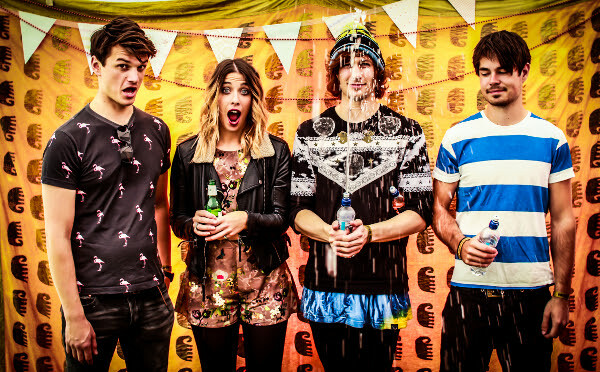 Vukovi are currently preparing their debut album and will be heading out on tour over the summer and autumn. ‘Boy George’ is released on 3rd August 2015 and available to pre-order now via iTunes.